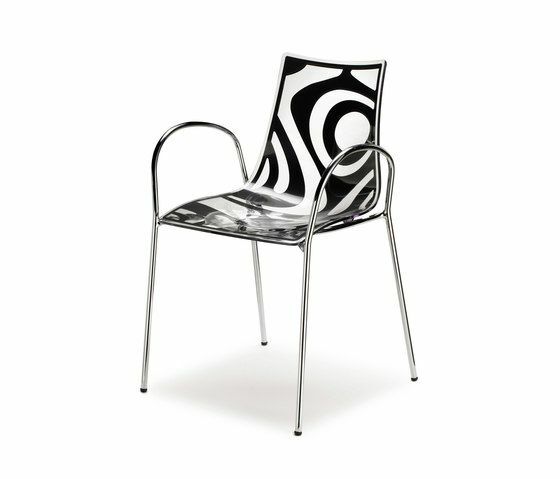 Tubular chrome steel frame with armrests. Stackable. High quality overmoulded technopolymer main body, featuring a transparent and a polished surface side by side.Several colour solutions available. Available with different kind of frames. For indoor use.